With my teeth being one of my favourite features, I have become more and more frustrated in recent years with how yellow they've gotten. With all the coffee and wine I drink, brushing and flossing every day (yes I'm one of those people) isn't even enough. I've tried drugstore tooth whitening products and even looked into professional tooth whitening. These options either don't work or are far too expensive. With my aunt in Iceland being a dentist (enter the reason for my obsessive teeth cleaning), I always look into getting it done with her but I never visit back home long enough. So when Smile Brilliant reached out to me to collaborate, I was super excited. It was a chance to get the professional tooth whitening experience at home. 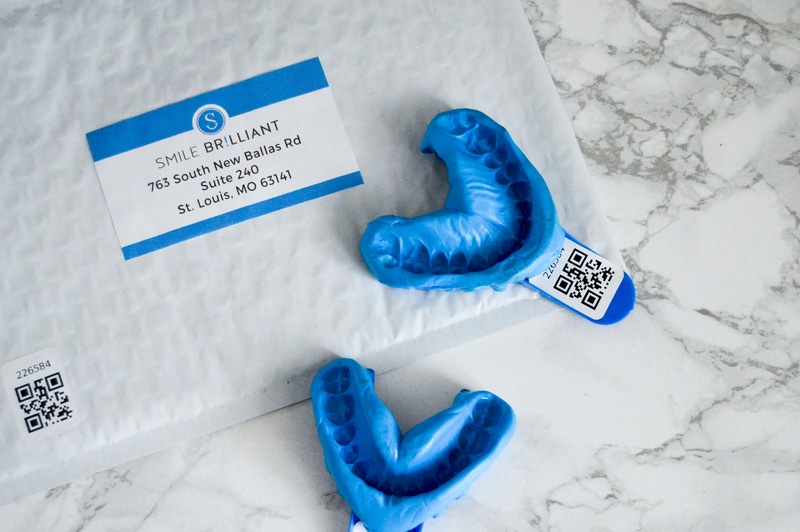 You will begin by making your mould in order to have your whitening trays created by Smile Brilliant. This is done by mixing the Catalyst and Base Paste (as quickly as possible, as it hardens!) and putting it into the tray. You will then place the tray onto your teeth and evenly press so that your teeth make an imprint. Repeat for your bottom teeth. Then let the tray sit for 30 mins and rinse with cold water. Pop both impressions with the return card into the envelope and mail to Smile Brilliant! The trays will then be custom made for you and sent back within 5 working days. Now onto the actual whitening. You will begin with the Whitening Gel. First, brush your teeth with no toothpaste and dry them as much as possible. Then open up your Whitening Gel and apply a thin line of gel along the front outer surface of the tray. Then pop onto your teeth and repeat with the other tray. Leave this on for 45 mins - 3 hours (maybe go shorter the first few times and/or if you have sensitive teeth, like me!) Once done, remove trays and brush teeth like normal. Now on to the Desensitising Gel. This is to use after each whitening session. You will already have your teeth brushed (as above), so following that, you apply a thin line of the gel onto your cleaned tray and place onto your teeth. Again, try to dry them with a tissue or towel. Do the same with the other tray and leave on for 15-20 mins. Once done, remove your trays and spit out any excess gel. I was initially quite nervous about using tooth whitening products because I have quite sensitive teeth, as I discovered when using all the various drug store products in the past. This article by Smile Brilliant gave me tips on reducing this issue. 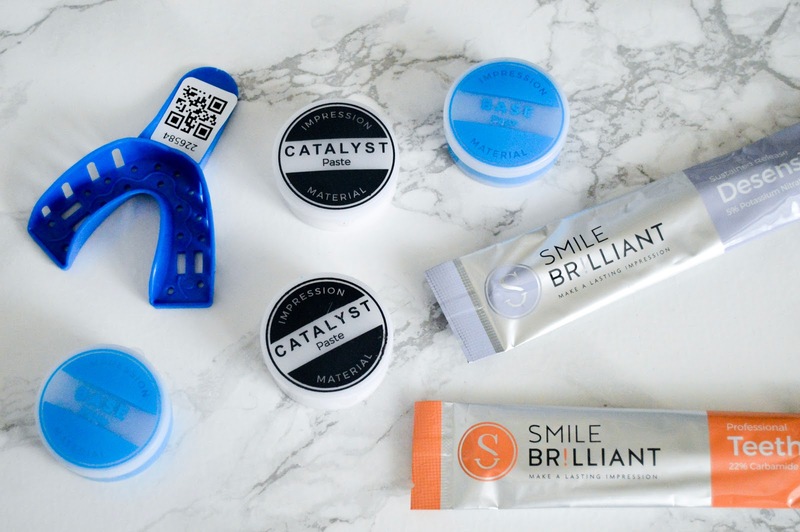 I have teamed up with Smile Brilliant to give one lucky winner $139 credit for tooth whitening products on their site! Oh wow! Love the results! Definitely make the smile look more confident! Beautiful teeth! Looks like you had great results. I'm posting my collaboration with them tomorrow, loved Smile Brilliant and your post! Interesting post! Such a great difference!! Your teeth look amazing! I have to give this a try!